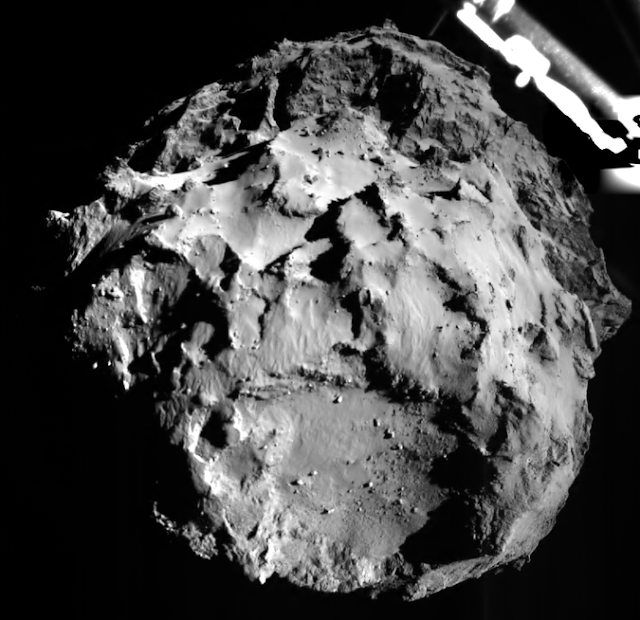 Two main astronomers say the comet that is now home to the Philae lander might also be populated by microbial alien life. Numerous features of comet 67P/Churyumov-Gerasimenko, for example its organic-rich black crust, are best described by the existence of living organisms under its icy surface, reports The Guardian. Astronomer and astrobiologist Chandra Wickramasinghe and his coworker Max Willis from the University of Cardiff consider comets like 67P could be home to microbes alike to “extremophiles,” which live in the most unfriendly parts of earth. The European Space Agency’s Rosetta craft, which is circling the comet, is also said to have detect bizarre “clusters” of organic material that look like viral particles. Philae is presently resting securely on comet 67P/Churyumov–Gerasimenko, a 2.5-mile-wide (4-kilometer) comet that circles around our solar system. And if you don’t know, comets, by their very nature, are pretty unfriendly places. First, they don’t have an atmosphere at all in the traditional sense. This is important because, on Earth, our atmosphere is what guards us from harm. It must be noted that it is not completely certain that comets did, in fact, bring life to Earth, however it is a viable hypothesis. Sound science and exciting scientific hypotheses often get muddied by statements that sound absolute.